← Ready or Not Singapore, A1 is Ready For You! Angela Zhang is set to return to Singapore after nine long years, with her 100% Angela Zhang World Tour, alongside the release of her latest album Head Over Heels. 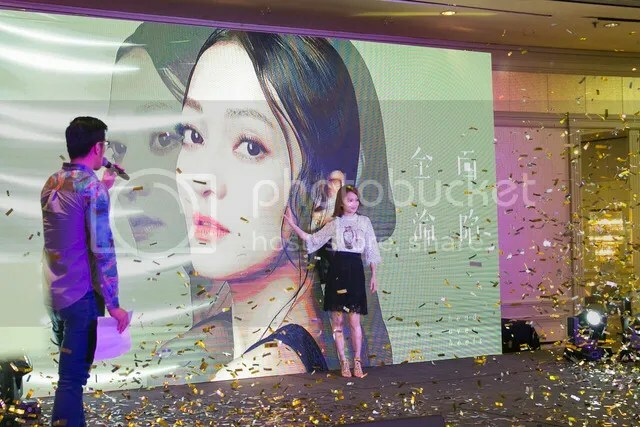 Ahead of the tour which happens in Singapore on November 18, Zhang stopped by for a press conference to discuss the concepts of her upcoming concert and talked about her experiences on the tour thus far. Singapore will be her sixth stop her world tour and her fans will be in for a treat as she performs both familiar as well as the brand new songs from Head Over Heels. She hopes to showcase her “purest inner self” through her music. The Singapore stop of the 100% Angela Zhang World Tour will feature three segments, I: Origins, Self: Honest Confession and Transcend: Exceeding Limits. Having her fans in mind, Angela has put in special thought towards including new outfits for the last part of each concert. On the concept of the new album, Angela explained that she wants to maintain the purest and most original intention from her heart that is free of any complication or impurities of the mind and soul. It has been a two and a half year hiatus and her highly-anticipated ninth mandarin album was finally released on July 21st this year. The album is a wonderful display of combining art and pop culture – talented illustrators and copywriters were also invited to work on ten different illustrated stories for the ten brand new songs on the album. As with her previous album, Zhang has once again assumed the role of music director for Head Over Heels where she is responsible for the overall concept and production of the album. Beyond that, Zhang has also taken on a new challenge this time by directing the music video for the album’s first single, Before Goodbye. At the shoot, Zhang has the arduous task of switching between immersing herself in character for the music video while still maintaining an artistic eye from a director’s perspective. That is no mean feat for anyone. “I am very excited to have my try as a director. Previously, as a singer, I only need to focus on my singing and my performance in the music video. Directing is something totally new to me and there were so many other aspects I need to think about. There is such an adrenaline rush during the shoot as I cannot wait to see how the music video turns out after adding in all the 3D effects,” shared Zhang. Be sure to catch Angela on her 100% Angela Zhang World Tour, happening November 18 at Suntec City Convention & Exhibition Centre Hall 601 – 604. Tickets are now on sale at APACTix and post offices islandwide.